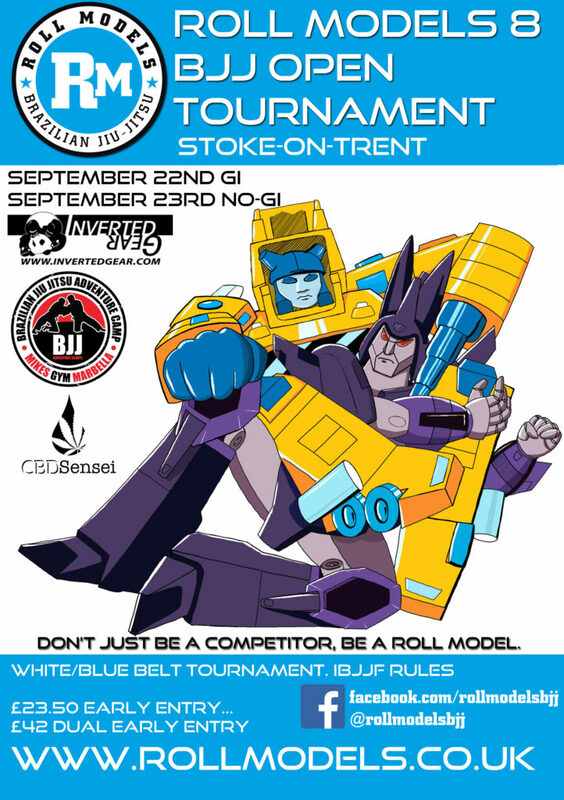 We are pleased to announce the dates for our next White/Blue belt competition and this time we have Gi and No-Gi! Roll Models 8 is scheduled for September 22nd and 23rd. Our tournament will again be open to White and Blue belt competitors featuring a modified Ibjjf ruleset and Super fights at higher belts. We have some amazing new Transformers themed medals to be won. Registration is open now via this link. Single early entry just £23.50, register for both Gi and No-Gi and receive further £5 discount with both at just £42! Over 35’s Male division available. No Judo black belts, high level wrestlers or pro mma athletes in White belt or Beginners divisions. White Belts who are either Judo Black Belts, high level wrestlers or those with Pro MMA experience can compete at Blue Belt with their coaches permission (wearing a white belt). Spectators £4 coaches free contact rollmodelsbjj@gmail.com 1 coach per team.